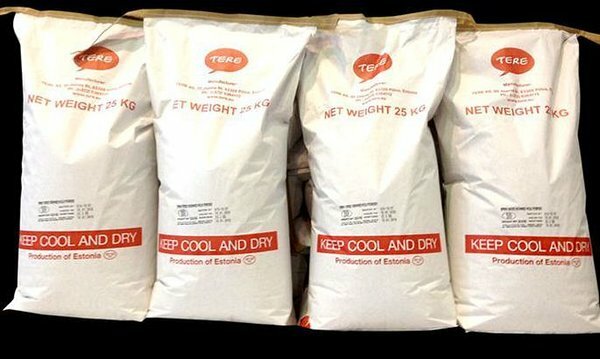 Tere AS after a break of some years will restart the export of skimmed milk powder to Japan, the first shipment will be sent out to the Japanese large corporation Marubeni in October. "We will restart the export to Japan gradually and hope to introduce and prove ourselves to the local industrial consumer there more and more over time," Katre Kovask, chairman of the management board of Tere AS and Farmi Piimatoostus AS, said. "Our competition advantage on the market there is the skimmed milk powder's higher than regular standard protein content and uniform high quality as well as flexible production amounts." Kovask said that a long-term view is characteristic to the Japanese business culture, where trusted relations with cooperation partners, which often take years to achieve, are valued in addition to the best quality of products and services. "Tere AS has exported its products to Japan also previously, but cooperation with Marubeni ceased during difficult times for Tere in 2016. All the more, the resigning of the contract with Marubeni has a symbolic meaning for us. Cooperation with Japan alone already bears a special mark of quality on the international arena," Kovask said. The signing of the supply contract was preceded with tense negotiations that lasted for approximately three quarters of a year. "We express our thanks to all those who thought along and contributed to ensure that our export to Japan continued. I hope and wish that this will be the beginning of a long-term fruitful cooperation," Kovask said. Tere AS and Farmi Piimatoostuse AS is an Estonian dairy group, the joint market share of which on the fresh dairy products' market is approximately 42% and which stocks up to 480 tons of milk per day. The consolidated revenue of Tere and Farmi in 2017 totaled 106 mln euros and by this year, the share of export in revenue has risen to 20%. In addition to Estonia, the group exports products to more than 15 countries, while the export selection includes both fresh dairy products and skimmed milk powder and butter. The number of employees working at the production units and head office of the group is 565.